It's here, we're in the thick of it—Christmas market season! The most romantic, most cozy, best smelling season of them all. Here's round two as promised, including the uber crafty Commune Market, as well as one more chance to check out CityMoment's Jing'an Christkindlmarkt this week. Round numero dos after the jump. Brought to us by CityMoments, this Germanic market's a bit smaller, a little less commercial than the others, and still real cozy. There will be decorated wooden stalls offering handicrafts and gifts, festive baked treats, glühwein (mulled wine), and other drinks to keep you warm. There will also be food vendors peddling German specialties and other treats from around the world. This market is relatively new, just in its second edition, but you can bet it'll be nice and crowed with Jing'an expats. Open weekdays 5pm to 9pm and weekends 12pm to 9pm till December 17. During the week, entry is free, Saturday-Sunday you can pre-sale tickets for 40rmb on SmartTicket, includes one mulled wine (kids under 10 free). Un Caffè Bar is holding their own mini-market on December 17, from 11am till 8pm. They'll have 20 vendors offering gifts, food and drinks; there will also be workshops for adults and kids. No entry fee. Common Rare is celebrating their one year anniversary at the West Bund Art Center with a "Into the Woods" themed Christmas Market. Here you'll find over 40 independent vendors selling their crafty goods as well as food and beverages from Pate Patisserie, Melrose Pizza, Midnight Burger, Fresh-Off and more. Entry is 55rmb at the door, but 129rmb "VIP tickets." This year’s Christmas Commune Market will have local designers, handmade craftware, designer jewelry, independent designer clothing, desserts, coffee, food vendors, specialty cocktails, Boxing Cat Brewery beer, and gifts on gifts. There'll also be a play area for the kids, singing, and a Brazilian DJ...because Christmas! 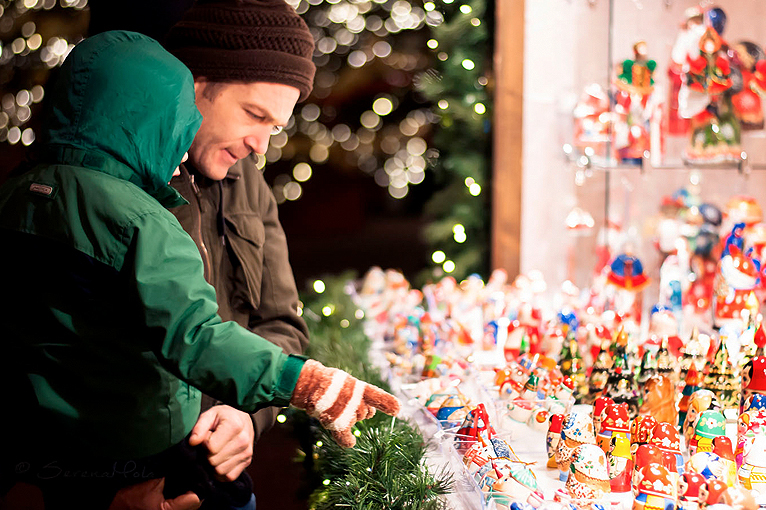 The Commune Christmas Market will run in its second weekend from 11am to 10pm, Friday to Sunday, December 15 to 17. Tickets are 30rmb just for entry or 100rmb which will come with 2 food vouchers and 1 Boxing Cat craft beer or hot mulled wine.